Diwa Learning Systems Inc (Diwa), a subsidiary of First Asia Venture Capital, is the leading publisher of print and digital educational resources in the country today. Diwa is a multi-awarded and innovative provider of educational solutions with an extensive distribution network across the Philippines. For more details, please go to diwa.ph. Diwa Textbooks are your most comprehensive resources for basic education, offering relevant and up-to-date information, concepts and ideas which are suitable and interesting to provide optimum learning for students and provide effective strategies for teachers. Supplemental Educational Magazine provides students with new information and updates on different subject areas, as well as fun-filled activities that allow them to apply concepts to real-life situations. It is also an educational material to supplement teaching objectives and to help design effective learning experiences. Genyo e-learning is the first learning management system for Philippine Basic Education. It is a learning platform that enables the administration and assessment of teaching and learning. Want full access to our educational resources? Please input your details below. 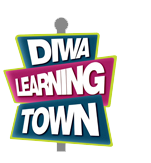 A Diwa Learning Town representative will contact you shortly with instructions to complete your registration. Please input your details to download our Diwa ICON materials.